Daryl Johnson (Worcester Park, United Kingdom) on 28 February 2007 in Architecture. It was quite an overcast day when I took these shots. I've done a fair bit of tuning to this one. I plan to go back here to try to get some more shots when the weather and light are better, to try to do justice to this fantastic building. Great perspective Daroru - neat shot! I really like the perspective...gives it some depth. Very nice! @Jen: Thanks for your visit Jen. It definitely doesn't look like Japan. Cool perspective here. Love the lush greenery in the background. @Stu: Thanks Stu. The house is set into a hillside; surrounded by foliage. Now with the main road and private property around it, it's hard to get a shot of just the house. Don't actually know if it's possible. Will check that out next time I go. Yes, I like the perspective too! Good candid shot! Nice shot, I hate when you go somewhere and the weather will not cooperate! @Dawn Sutherland: Thanks Dawn... Yeah, there are ways round it I suppose, but I'm not that skilled. Can't beat nice sunlight. But you did it right. It's quite fine to me. 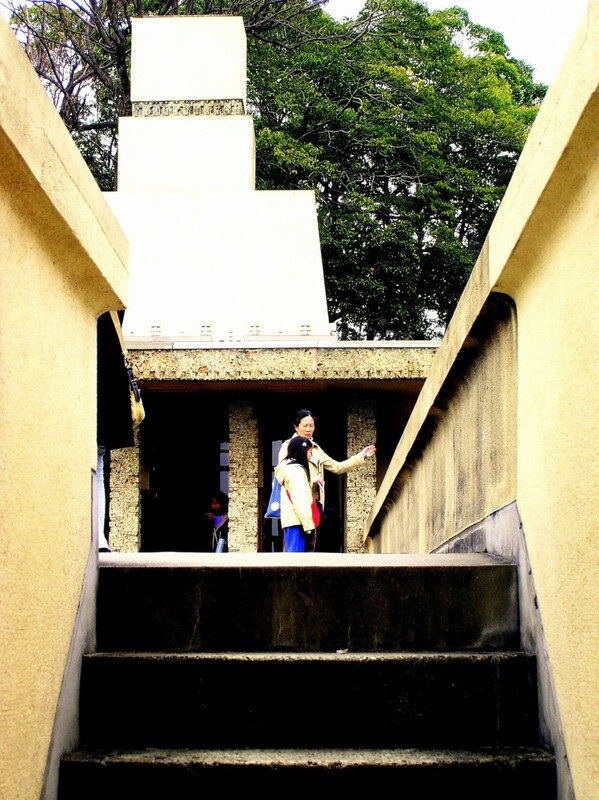 Nice shot Daroru, a Classic from Frank Lloyd Wright! @Alfredo J. Martiz J.: Cheers Alfredo. There are 2 of his left in Tokyo aren't there? u correct in Photoshop right? its color is not very natural. but the arrangement is so nice! well done.